Pronounced effect adapted for irregular horizons. 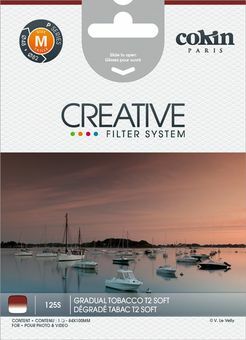 2 stops on upper part of filter. Long transition. 84mm wide. For P Series filter system. Graduated Tobacco Filters are adapted to storm effects. They give a greater vitality to subjects in fashion photography & reportage. Graduated tobacco filters are available in five varieties.